So happy that my favorite book boyfriend, Boone, will soon be burning up ereaders. Rhyolite Drifts: Yellowblown™ Book Two, my New Adult contemporary slightly apocalyptic romance, is available for preorder—at a discounted price—and will be released on May 5. Here are a few of Boone’s swoon-worthy lines, spoken to Violet, that reminded her why she and her roomie nicknamed him “Hotness”, and made her admit he’d been worth waiting for! I nodded again, abrading my forehead on denim. If Amazon did their job, Rhyolite Drifts should be available to preorder for 99 cents at http://www.amazon.com/dp/B00VGOQ9VS. 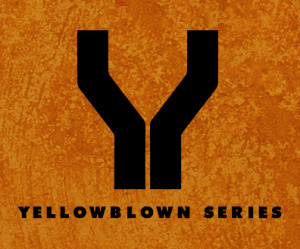 To be ready for it, you need to get to know Hotness in Eruption: Yellowblown™ Book One. Make sure to visit the other Hot For Friday bloggers today. You can find them by clicking the little blue frog.